Dr. Yu received her bachelor’s degree in East China University of Science and Technology (2011), Ph.D. degree in Missouri University of Science and Technology (2018), both in Chemical Engineering. She joined the NETL as an ORISE Research Fellow in July 2018. Her research areas include computational simulations by MFiX and Aspen Plus in energy-related fields, experimental work in biomass gasification and combustion processes. 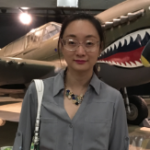 She is currently serving the development team, focusing on developing CFD modeling of the biomass gasifiers involving both physical and chemical activities. Yu, J. and J.D. Smith, Validation and application of a kinetic model for biomass gasification simulation and optimization in updraft gasifiers. Chemical Engineering and Processing-Process Intensification, 2018. 125: p. 214-226.